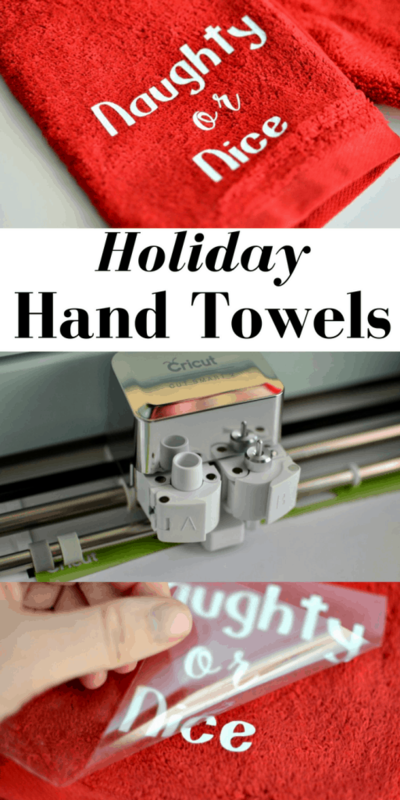 Do these 5 things to keep your bathroom ready for guests during the holidays (and all year long). The most wonderful time of year is upon us! From family potlucks to neighborhood parties to visits with the grandparents, during the next two months our homes are bound to see many visitors. I read somewhere once that a woman can get more house cleaning done in 30 minutes before a guest arrives than any other time. I completely agree with that; except there is one room I always forget about cleaning. The guest bathroom. Really it should be the first room I clean since it’s the bathroom my boys use the most and we all know how well little boys aim; but I often forget to clean or don’t get around to cleaning it until after guests arrive. Not this year. This year I am determined to make things easier; mostly because having a new baby makes the time I have to clean and prepare even more limited. My preparations are starting in our guest bath. I wanted to make the bathroom not only welcoming but also easy to keep clean. 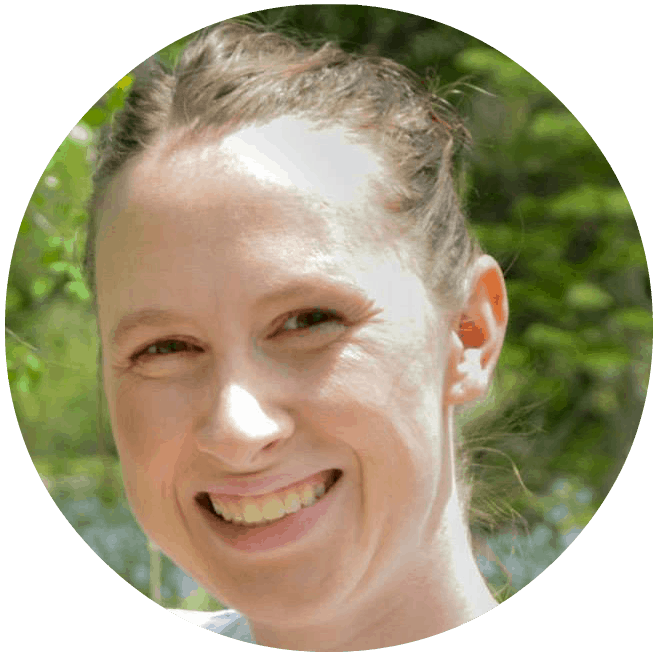 See how I’m doing that with these 5 easy steps. Have Paper Towels Handy For Quick Cleanups. I would love to have a bucket of cleaning supplies under the sink too but with little curious hands that’s not a great idea. What I do have on hand though are Sparkle® paper towels, my favorite brand of paper towels. Now when it’s time to give the counters and mirror a quick clean I don’t have to worry about whether or not we are out of paper towels. 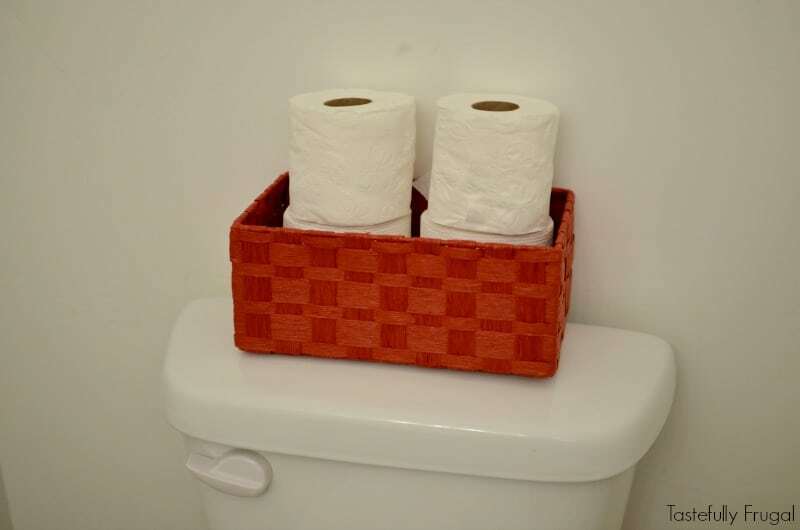 Keep Extra Toilet Paper Stocked and Easily Accessible. There is nothing more awkward as a being a guest in someone’s home, using their bathroom and finding out there is no toilet paper. Not just that but if there is no toilet paper to be found in the bathroom anywhere. I like to store Angel Soft® bath tissue in a small basket on the back of the toilet. This way there is always extra toilet paper. 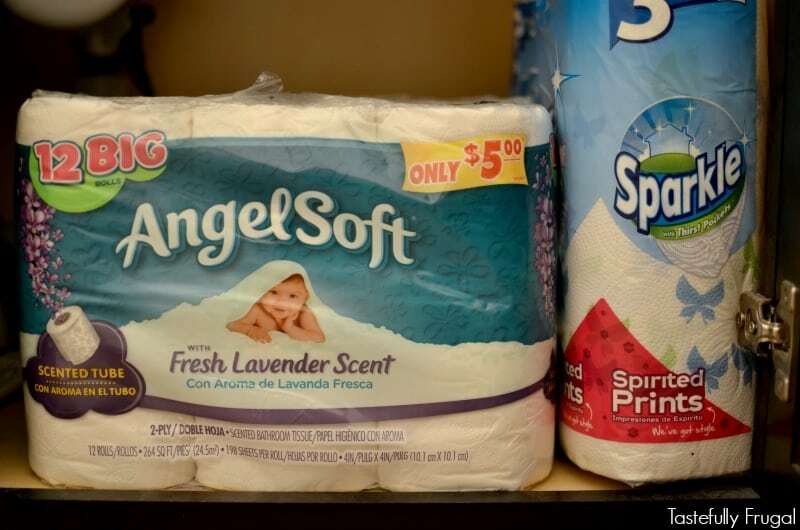 I buy Angel Soft® bath tissue and Sparkle® paper towels products not just because they get the job done but they are also affordable. And now through 12/27/2016 you can save $.50 on both products (so $1 total) when you buy them in a single transaction at Family Dollar. Click here to download your coupons. Add Decorations That Match The Rest Of Your Home. When I was shopping at Family Dollar picking up Angel Soft® bath tissue and Sparkle® paper towels I also picked up some holiday decor. I was able to get the basket for the toilet paper, a fun sign for the wall and the cute sparkly Christmas tree on the counter all for $3. Family Dollar is my new go to shop for affordable seasonal decorations! I like to keep the decor throughout my house minimal as to give me less to clean and dust. But I do like having a few things in the bathroom just to draw any attention away from walls I may or may not have been able to clean dirty finger prints off of. Leave Space For Guests’ Convenience. If you have overnight guests you want to make sure that they have space to put their toothbrush, toothpaste, hairbrush and anything else they may need during their stay. For that reason the only things I have on the counter in our guest bathroom are hand soap, lotion and the small tree in the corner. Always Have Clean Towels. This one is a big one for me. I can’t stand when there are wet towels or dirty towels in the bathroom. I always have an extra towel or two under the sink so that I can easily switch one out for guests. 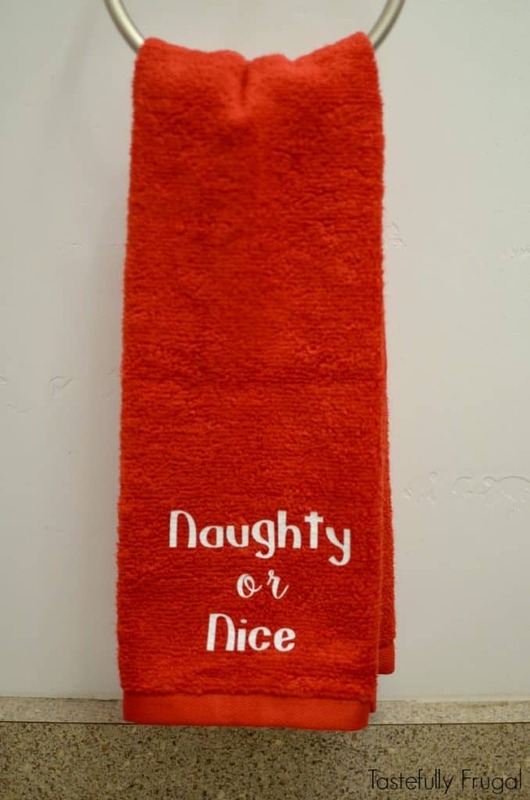 I also like to have festive towels throughout the year. For the holidays I decided to make my own; and it was so easy! 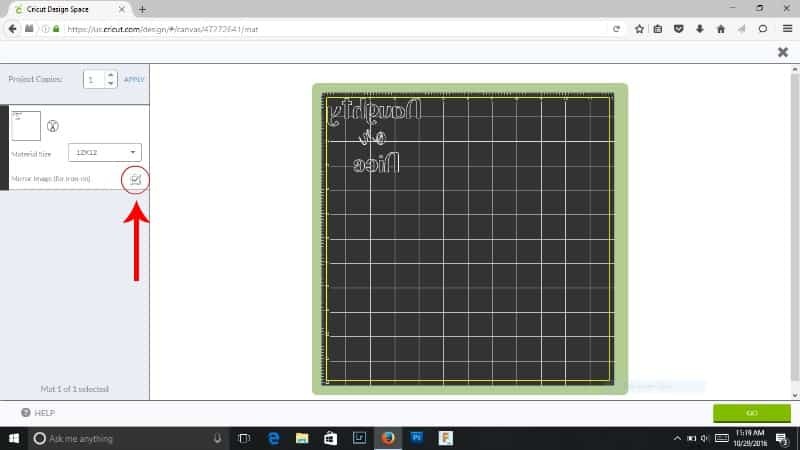 Design your saying or picture in your vinyl cutter’s design space (if you have a Cricut and want to make this Naughty or Nice design click here to download the design for free). Cut your saying out of iron on vinyl. 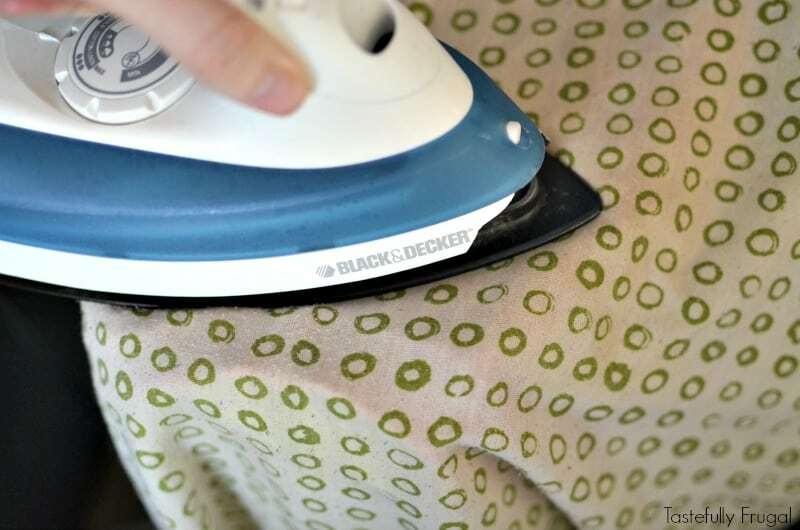 (Tips for using iron on: make sure to mirror your image before cutting so it goes on the right way when you iron it. Also, when loading your iron on make sure the dull side is face up). 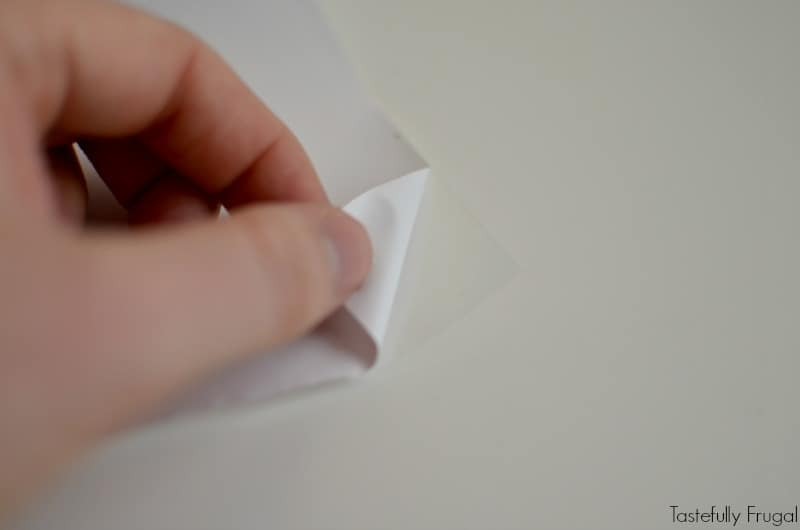 Pull excess vinyl from plastic by starting in the bottom left corner and slowly pull up at an angle to make sure you don’t lose any small pieces. Heat iron on highest heat setting and warm up towel where you want your vinyl to go. Place design on towel and press firmly on iron for 15-20 seconds. 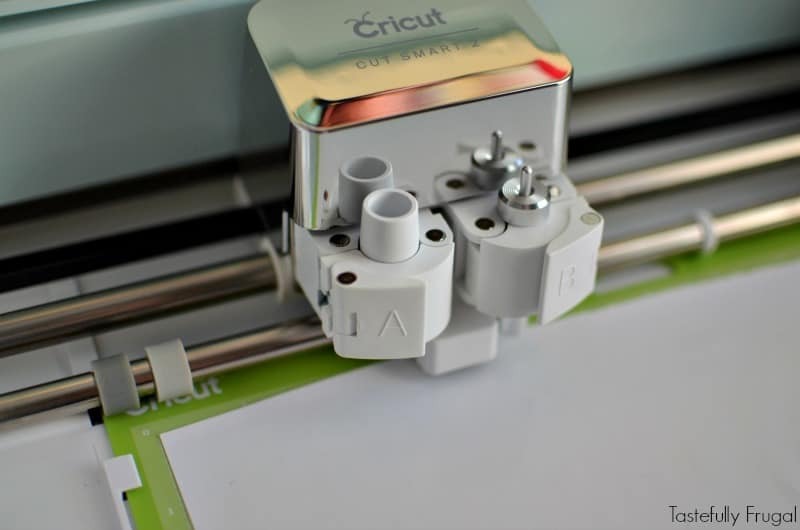 Slowly remove plastic backing again by starting in the bottom left corner and slowly pulling up at an angle. 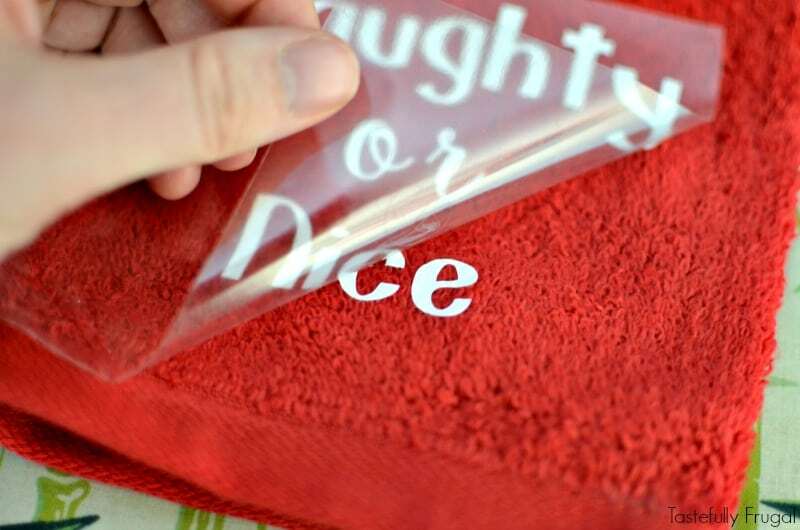 Place an old pillowcase over vinyl on towel and apply firm pressure for an additional 15 seconds. 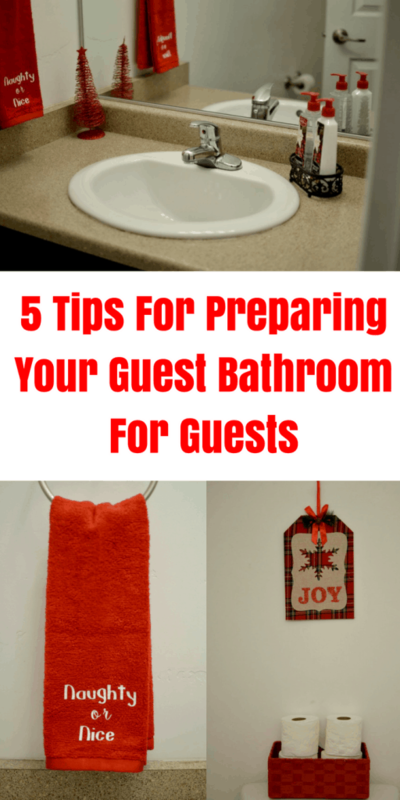 If you do these 5 things now, when the day comes that you have guests over not only will you not stress about having a clean bathroom but you’ll actually want your guests to use your bathroom to show off how clean and cute it is! How are you preparing for holiday guests at your house? 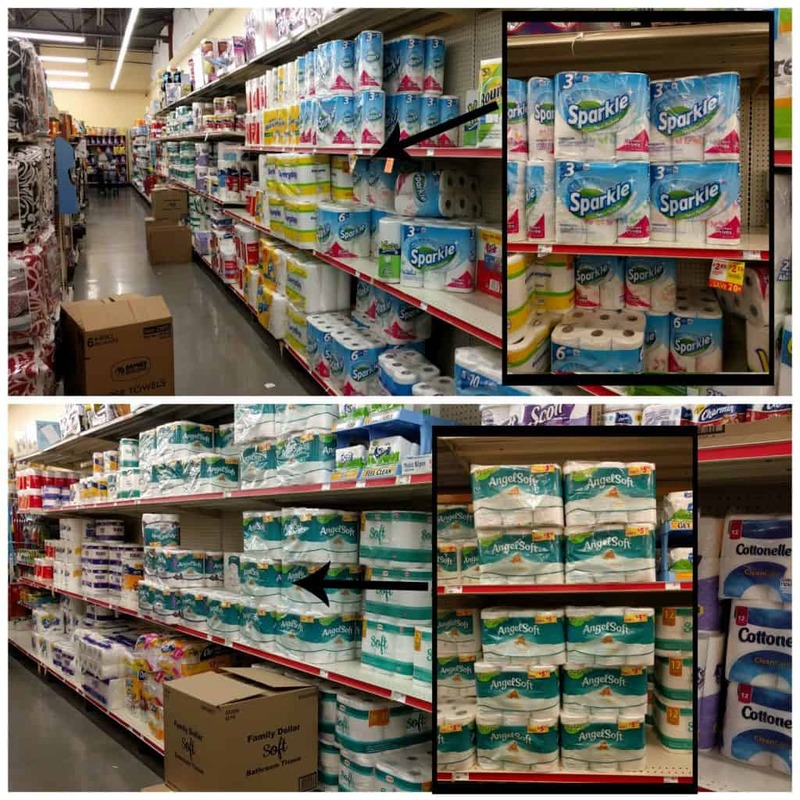 Don’t forget to stop in to your local Family Dollar and stock up on Angel Soft® bath tissue, Sparkle® paper towels and all your holiday decorating needs. Click here to download your $.50 off coupons before you go too! Check out this video for more info on how to download yours. 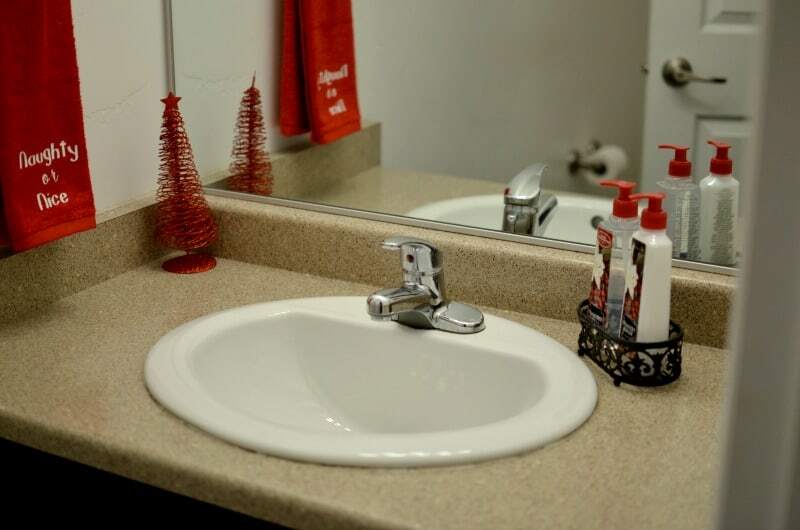 Your bathroom is too cute and festive! Do you decorate it for each season/holiday?